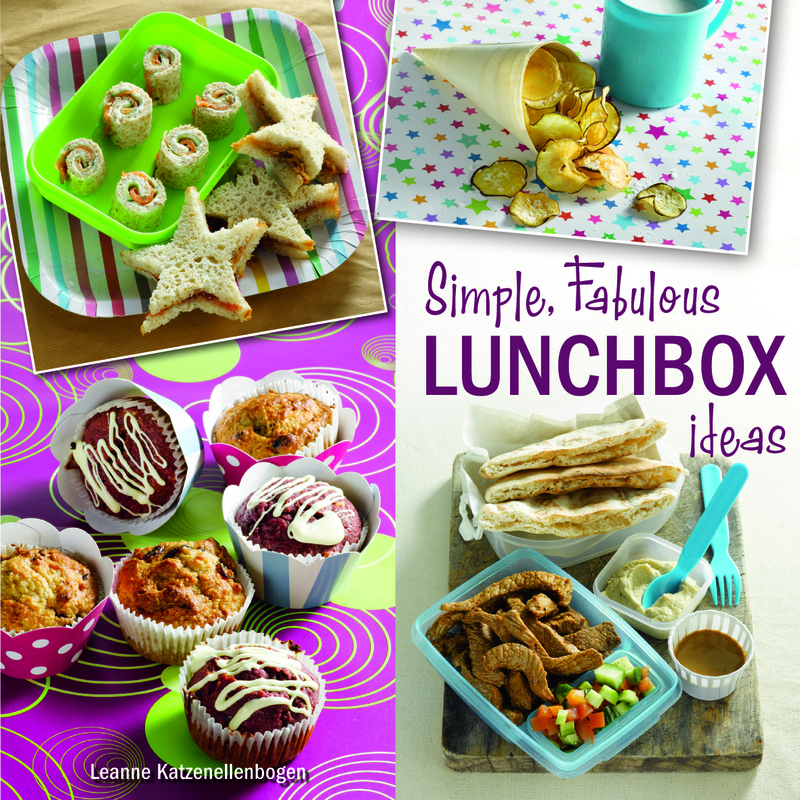 If you have ever wished for more exciting lunchbox ideas, then Simple, Fabulous Lunchbox Ideas is the ideal book for you! Not only is this the lunchbox-packer’s dream but it also invites you to pretty up the lunchbox. The recipes of Simple, Fabulous Lunchbox Ideas will have young and old returning home with empty lunchboxes. Leanne Katzenellenbogen has drawn from her extensive dietary knowledge to produce a book filled with simple, yet fabulous and healthy lunchbox meals. The recipes range from tasty snacks such as Sweet potato samosas to mouthwatering meals such as Honey and soy drumsticks. It is often the case that last night’s leftovers can be converted into the next day’s lunch. Every recipe is accompanied by a nutritional information table, and hints containing suggestions are scattered throughout the book.